Bruce Springsteen doesn't play Magnetic Hill for over a month, but some people are wondering if he'll attract 70,000 fans like the city expects. Bruce Springsteen and the E Street Band perform during the Wrecking Ball tour at the Wells Fargo Center Wednesday, March 28, 2012 in Philadelphia. Bruce Springsteen doesn't play Magnetic Hill for over a month, but some people are wondering if he'll attract 70,000 fans like Moncton expects. Sharon Heeney manages a division of Trius bus services in Fredericton. She planned to send three charter buses to Magnetic Hill, but had to cancel after only two people signed up. 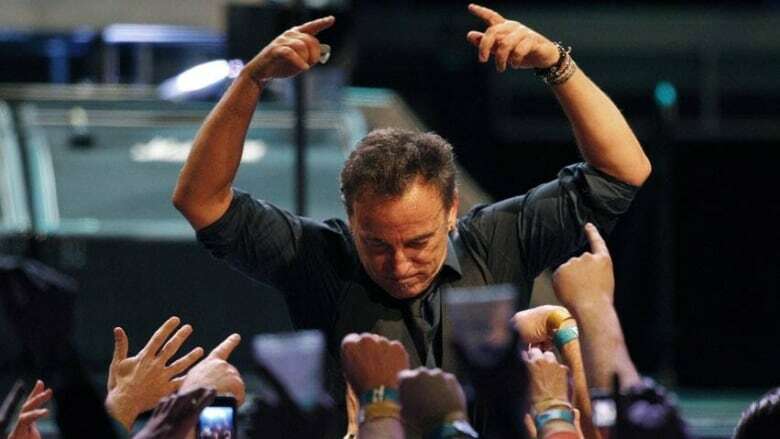 "When the Springsteen concert was first announced there was a great response, the phones were ringing off the hook. A few weeks after that Nickelback announced their arrival on the scene and there seemed to be a flip right there. The dominant interest was Nickelback," she said. Promoters won't release ticket sale numbers in advance of Springsteen's Aug. 26 concert. Karl Barter runs Frank's music in Moncton and said it's hard to tell how ticket sales are going. "(John) Mellencamp just played, Nickelback just played. A lot of people don't have a lot of money, they just want to choose one show," he said. Hotels in Moncton are still reporting some vacancies, but Hammond Joshi said he thinks fans will flock to the concert. Joshi runs the Econo Lodge Hotel and Suites in Moncton. "We are sold out for that event and you know we are taking a waiting list," he said. Back at the music store, Barter agrees. He's been selling concert tickets for 32 years and said many people in Moncton buy their tickets last minute. "I know they wait until the last minute and I'm part of it too, you wait for the weather, depending on what's going on. It's summertime you could be on vacation you never know," he said. "There's always a big crowd that shows up last minute too."